Note: Move your downloaded data to folder /Android/obb/com.dramasticinteractive.acef14. First release! We look forward to hearing your comments and feedback! A.C.E. Tomcat is a fully interactive mobile app featuring one of the most recognisable and iconic fighter aircraft ever built - the F-14A Tomcat. Make no mistake - this is no game. A.C.E. 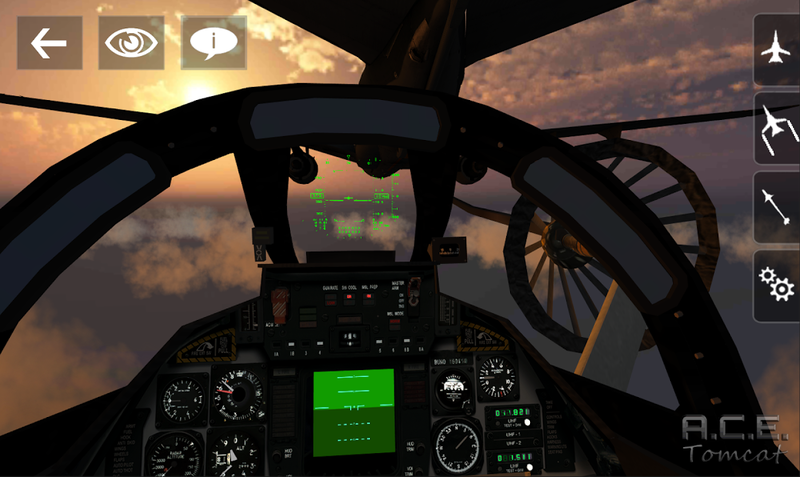 Tomcat forgoes sketchy controls and low quality graphics found in most mobile flight sims and instead provides t... see more A.C.E. 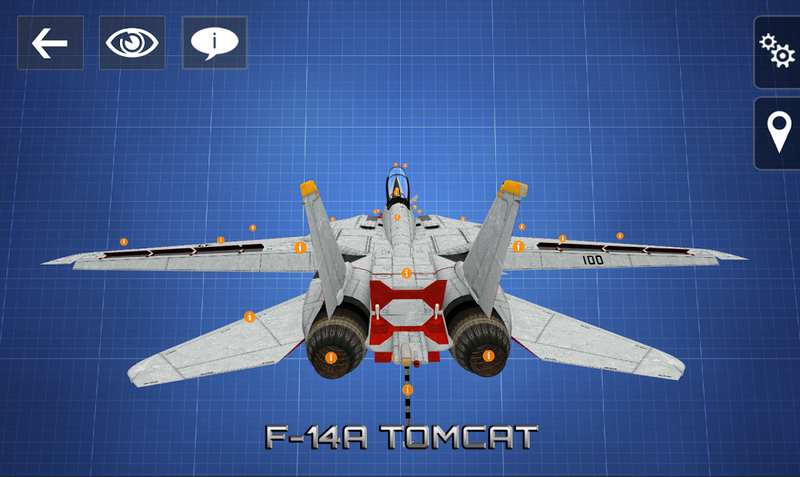 Tomcat is a fully interactive mobile app featuring one of the most recognisable and iconic fighter aircraft ever built - the F-14A Tomcat. Make no mistake - this is no game. A.C.E. Tomcat forgoes sketchy controls and low quality graphics found in most mobile flight sims and instead provides the user with an unprecedented level of detail, allowing the user to interact with a high fidelity 3d model of the Tomcat, and learn about the history, capabilities and fascinating, little known facts about this incredible fighter jet. 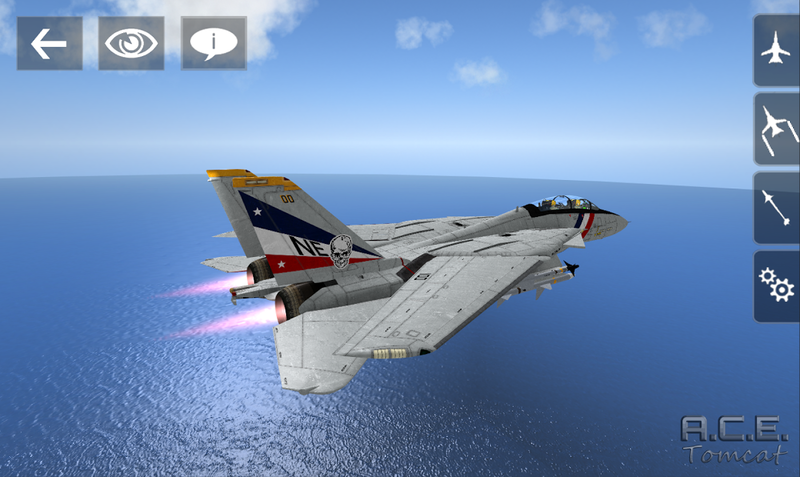 - Get up close and personal with an incredibly detailed model of the F-14 Tomcat that goes far beyond the low-fidelity assets you’re used to seeing on mobile devices today! - Fire off Phoenix, Sparrow and Sidewinder missiles, chaff, flares, drop laser-guided Paveway II smart bombs and fire the Tomcat’s awesome M61A1 cannon! - In “Info Mode” you can read about the various weapons, avionics, systems and control surfaces that combine to create one of the most capable fighter aircraft ever built, with over 50 different info markers and thousands of lines of original text found nowhere else! - In “Action Mode”, the full capabilities of this iconic fighter come to life, as you execute flight maneuvers, fire weapons, change weapons loadouts and much more!